Discussion in 'Tutorials & Resources' started by Micnax, Sep 6, 2009. Something that looks hard can be very, very simple, and very easy to make your own. All it is is the game loading the map into the background using an info_observer_point. 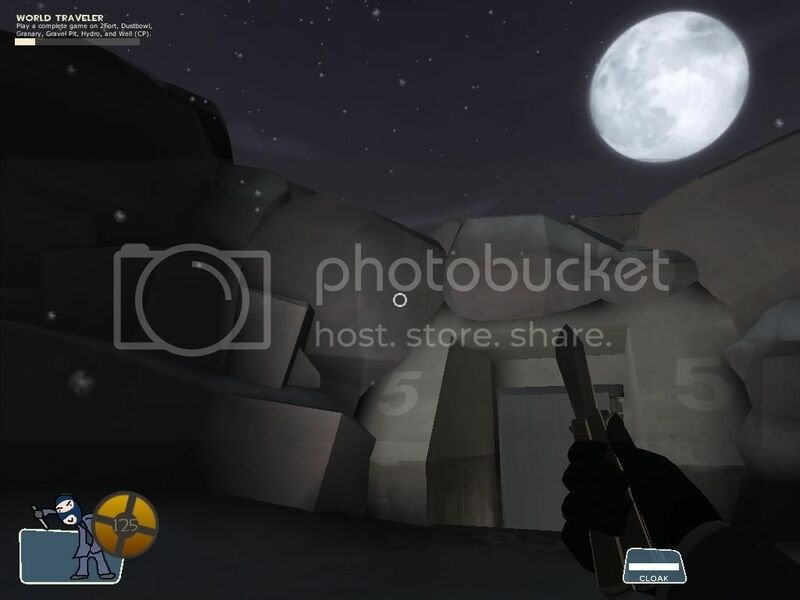 Firstly, open the map you're using in TF2, and find a nice spot you want the camera to be pointing. Open the console while in your position and type getpos, which dumps your coordinates and view angle to the console. If you're crouching, I recommend you bind this to a key (like F12) for easy access. 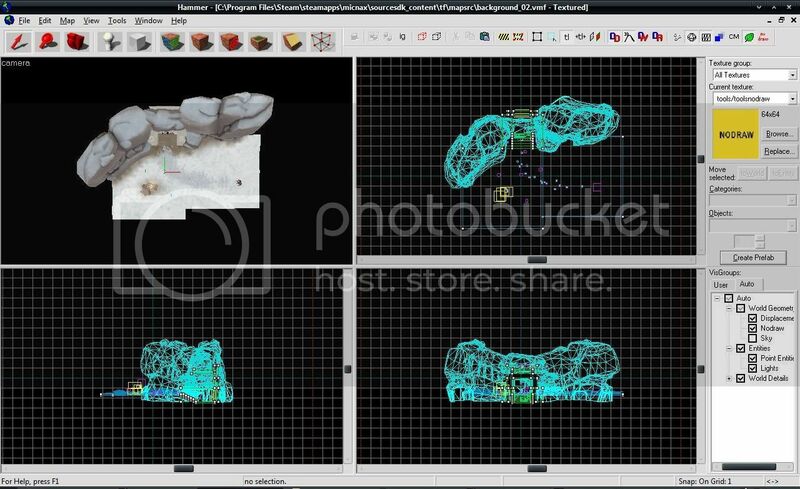 Now take the coordinates from the console and open your map in Hammer. After that, save it and name it background_## (Replace the ## with anything you want, I put 02) and compile on whatever settings you like. 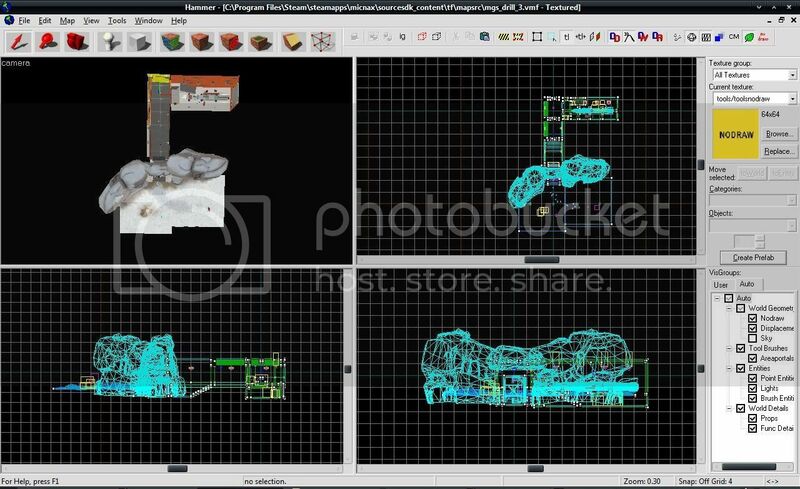 Download the valve.rc file and place it in your tf\cfg\ folder, and rename background_02 inside it to whatever your map is called. 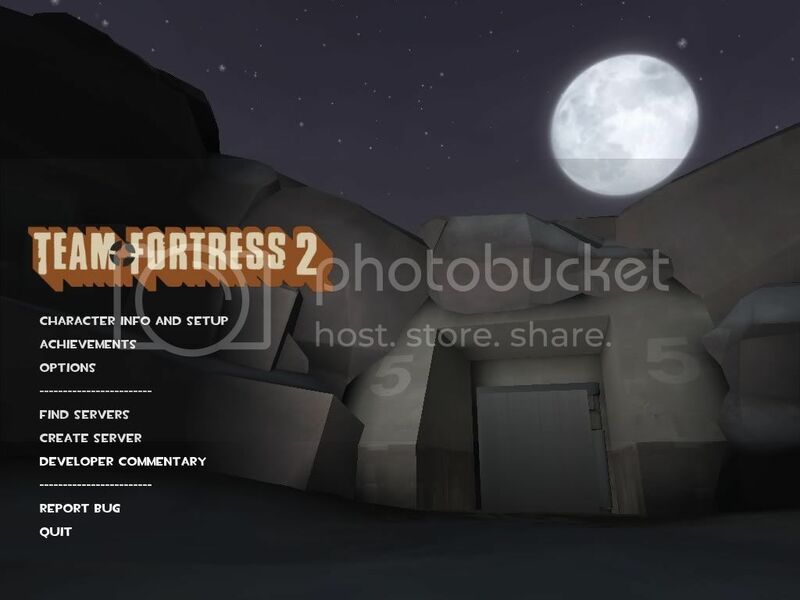 Load up TF2 and you should have a nice backdrop for your menu! 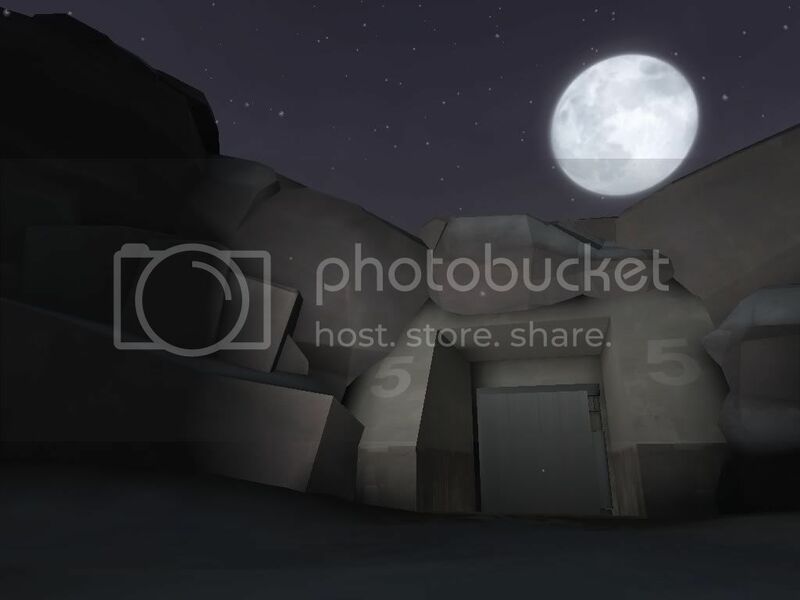 If you wish to release your background to other places, such as FPSB, remember to pakrat your map (if it has custom textures/models) and include the valve.rc file for the game to load the map. If you want to download the map shown in this tutorial as your background screen, you can get the files from here. Awesome! I've been curious about how to do this for a while now. :drool1: YES! I love you! Uh one thing, isn't the command getpos, instead of setpos? Setpos teleports you away, I believe. sry, for offtopic question, but where can these rocks in the last screenshot be found ? i'm pretty sure they're not official. any custom map, where i can download them with ? They're official, and should be under prop_forest as cliff_wall_## (with ## being the number 1-10). I used Skin 2. But its so much more fun to load up a playable map and stick some RCbots in. Not for honour, but for BLU! Lag, it's the way I facestab you! This tutorial gave me an excellent idea. Thanks a lot! Would it be any way to move the camera over time (like shifting the angle a bit) ? I'm guessing a path_track, delayed by a logic_timer. here's my try with koth_persia. Do you know if there is a way to circumvent this ? Hmm... If it's possible, set the prop_dynamic's to prop_static. 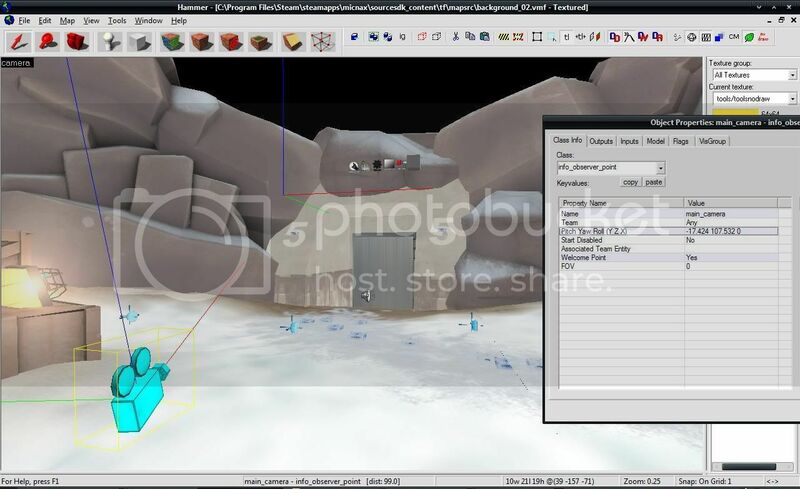 point_spotlight and func_dustmotes might be a compile bug. I'm not too good on this subject, so you could probably ask Boojum for a better explanation. Hmm.. I'm not sure whether this is because of the valve.rc file or just something else, but my little chat HUD has seemed to disappear in-game. I can still press y or u to bring up the window with all of the messages, but it can get annoying having to repeatedly check for new messages. Any ideas?